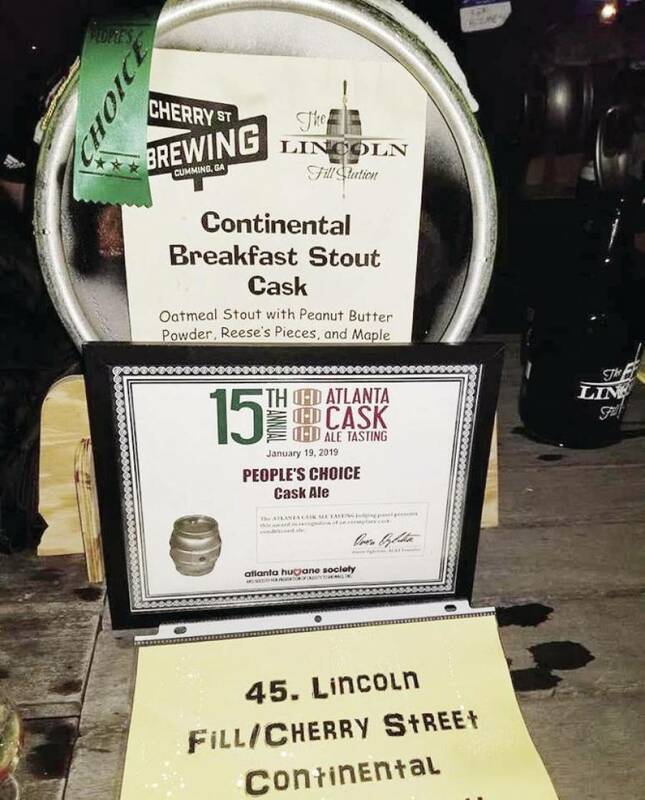 Cherry Street Brewing was recently awarded its third People’s Choice Award at the 2019 Atlanta Cask Ale Tasting. The brewery established its identity by applying cooperative ideals that focus on community, education and sustainability to everyday life. Since its opening in 2012, Cherry Street has won more than 39 awards for its brewing style and creations. The beer that won the People’s Choice was a collaboration beer between Cherry Street and a store in Snellville called the Lincoln Fill Station. The beer was a peanut butter stout with maple syrup, created by a cask. Cherry Street chose to use a cask because it is a unique English technique used to pour beer. It will be hosting a Beer Fest on April 13 at Vickery Village Courtyard, 5755 South Vickery Street. To learn more about Cherry Street Brewing, visit cherrystreetbrewing.com.